How can I download a free CD for my Lexmark X5490? Do you want wallet-friendly rates for ink cartridges? Then think about just what precisely Cartridge Save has to offer! We specialise in offering our customers with cheap Lexmark X5490 ink and also guaranteeing you'll be given our hassle-free buying experience. Searching for half a day just for the least costly printer cartridges is a great way to waste your precious time There is no more need to compare prices - all of the top bargains can be found on our website. So save money and free time - order from Cartridge Save! You can be assured of comprehensive satisfaction when you order from us courtesy of the rock-solid money back scheme that comes as standard . If you ever encounter issues using your cartridge inside 12 months after purchase you can simply send it to us for your 100% refund. Don't forget that you'll be offered with complimentary overnight delivery for anything. You no longer need to waste any more hours in the search for the lowest prices - you've found them on Cartridge Save. 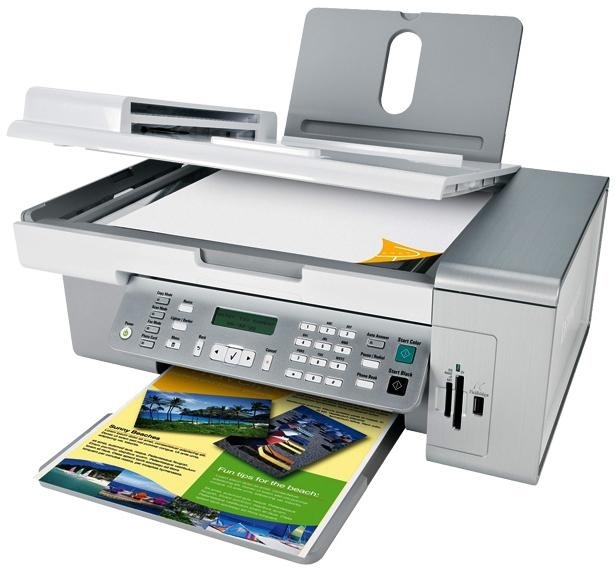 Photo enthusiasts looking for an affordable multifunction machine for their small office can consider the Lexmark X5490 for its direct-printing capabilities, fax machine, and scan and copy functions. It has a small footprint and prints documents at acceptable speeds. However, its speed is sub-par for a multifunction photo printer. Built around the colour printer is a 33.6 Kbps fax machine, a flatbed CIS scanner, and a colour copier. The Lexmark X5490 uses thermal inkjet print technology with 4 colour inkjet technology. It features built-in media card slots, and can be upgraded with additional slots via an adapter. Users can determine the printer's status through the 2-line 16-character backlit LCD screen on the control panel. The entire Lexmark X5490 weighs just 6.5 Kilograms, so it is fairly mobile and easily transportable. The optional 6-colour cartridge system can be integrated into the printer for more vibrant pictures. The Lexmark X5490 is also capable of printing fast  up to 25 ppm in monochrome draft and 18 ppm in colour draft. One of the most unfortunate aspects of the Lexmark X5490 is the price of replacement ink cartridges. It also tends to clean its own print heads every time it is switched on, which wastes more ink. The Lexmark X5490 has been discontinued, so users who already have this printer have a difficult time finding replacement parts.